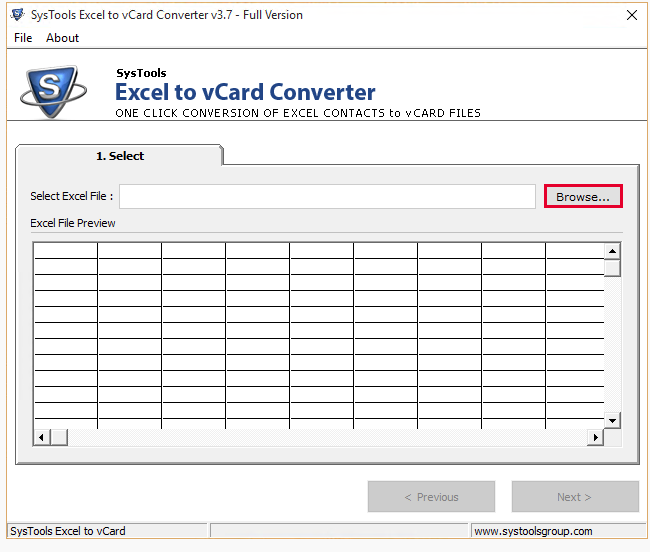 SysTools Excel to vCard Converter is a software for converting files. It features a field mapping option, multiple language conversion, and multiple Excel contact conversions. 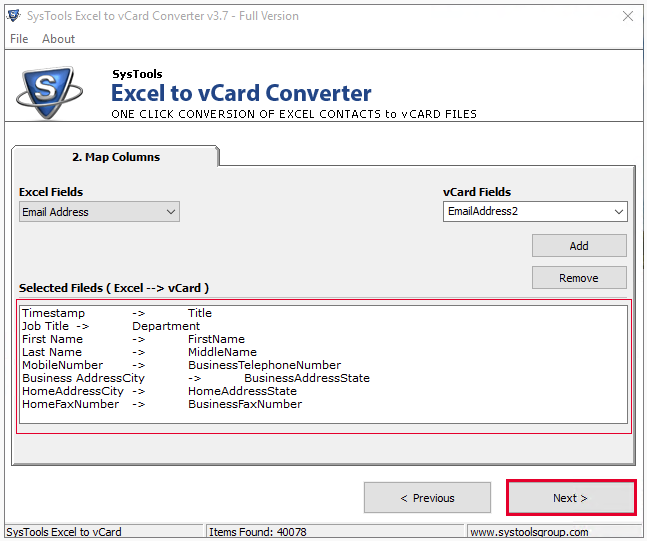 "One of the Best Convert to quickly Converts Excel Contacts to vCard or VCF Format. 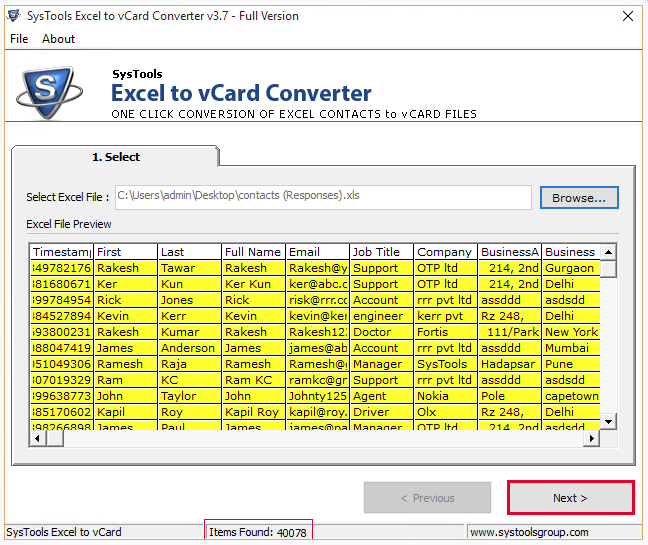 Software offers various features such as preview of Excel contacts in Excel Spreadsheet Format and create vCard file in 3 Different format such as vCard 2.0, 3.1 and 4.0 Version.To manage large number of Excel contacts, user can also create single VCF File for all contacts without any data loss."